A well-designed, gated community offering studios, 1 bedroom, 2 bedroom and 3 bedroom apartment homes. Enjoy beautifully maintained, lush landscaping throughout plus a separate fenced pet area. Relax by our sparkling pool and hot tub or watch the game in our spacious clubhouse with free Wi-Fi and full size kitchen. Conveniently located in the vibrant heart of Kennewick, close to shopping, entertainment and just minutes from Hwy 395 and Hwy 240. Located just a short drive from the Columbia Center Mall, downtown Kennewick and Columbia Park. 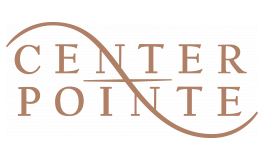 Center Pointe offers comfortable living with a splash of charm. Our open floor plans and unique surroundings will cultivate everyday life to extraordinary.